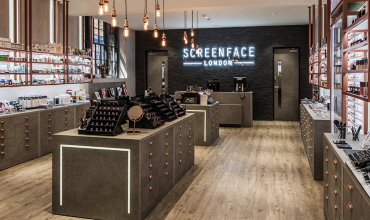 The lovely people at Sample Beauty have teamed up with Warpaint to offer one lucky reader the chance to win one of their best-selling Paradigm Shift Palettes. It has their famous Mix, Fuse and Create Formula which allows you to blend between different shades – or on top of one another – and the pigments actually combine to create brand new shades. Cool, right? For example, when blending between yellow and red, the formula creates orange between them, giving you that perfect transition of colour. There’s no need to think, “Which shades shall I place in between to get them to flow?” The formula does the hard work for you. 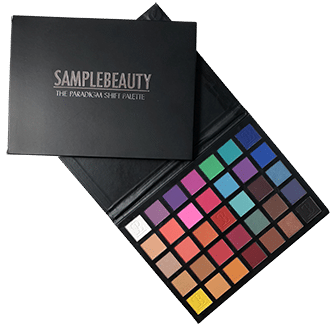 While there are 30 mattes and 5 shimmers in the palette, more importantly you’ll find white, black and the three primary colours – red, yellow and blue. Use white to make shades lighter and black to make shades darker. The primary colours give you the opportunity to create an endless number of different shades. Use for softer looks and intense looks with a set base for a softer, buildable look or use a wet base for an intense colourful look. Create depth and structure with a single shade. Make-up is art – let’s get creative. Click the link to enter.